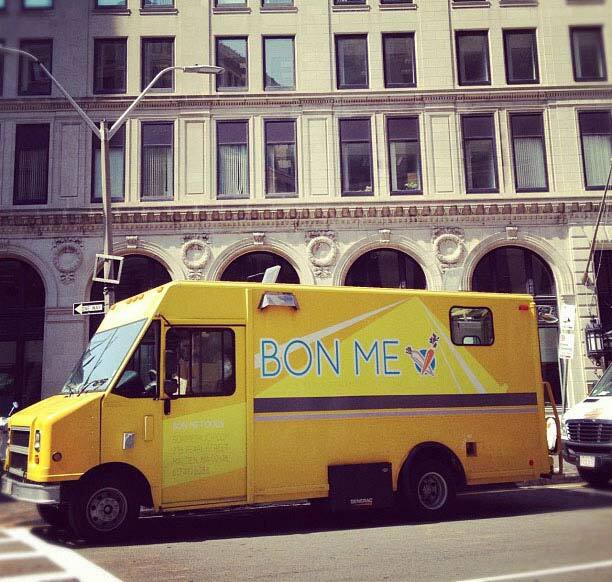 Starting in 2011, I designed the identity and exterior wraps of the Bon Me food trucks, a winner of Boston’s “Food Truck Challenge” and purveyor of delicious Vietnamese-inspired street food (the name is a play on “banh mi”). Patrick and Ali launched their business with a great sense of fun, and the design followed a playful theme. Their now six(!) 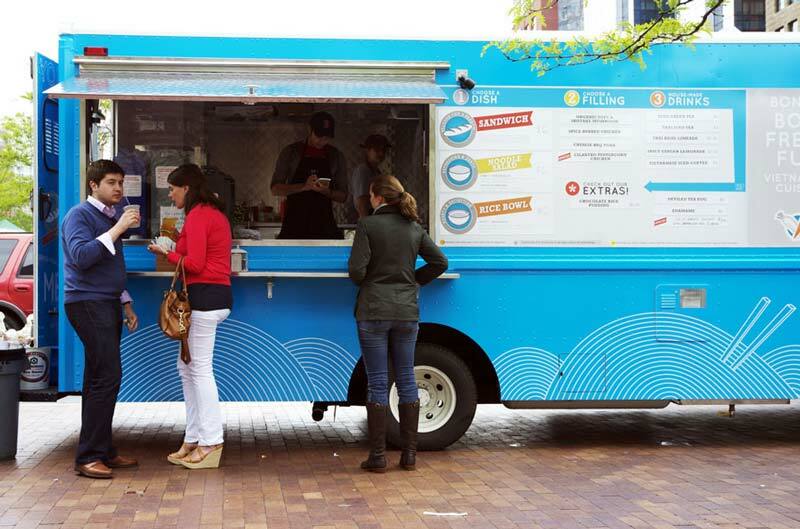 trucks—one yellow, one blue, one red, one orange, one green, and now one pink—are designed to evoke fresh, bright flavors, and to bring a pop of color to the gray Boston streets. 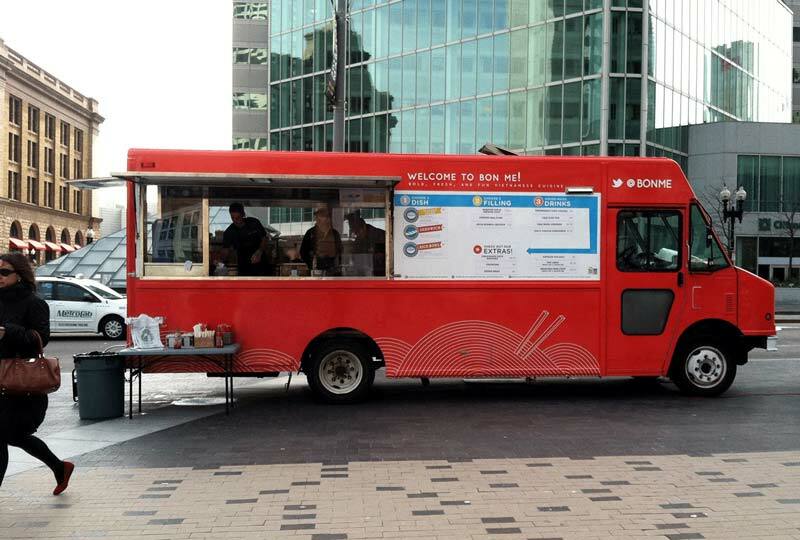 In addition to the Bon Me food trucks, I also designed their logo and identity, truck and restaurant menus, cup and to-go box packaging, t-shirts, and business cards. 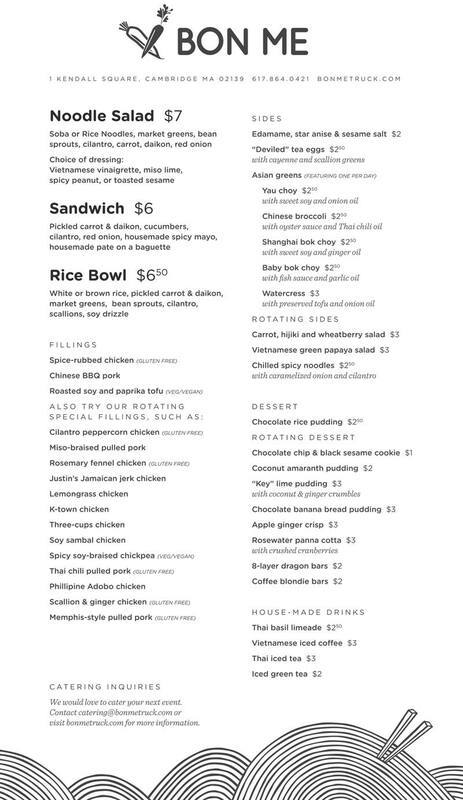 In 2016 I contributed environmental graphic design to their first brick-and-mortar restaurant, in Kendall Square, Cambridge, MA. When the team made the first yellow truck, we had no idea the business would grow as much as it has.